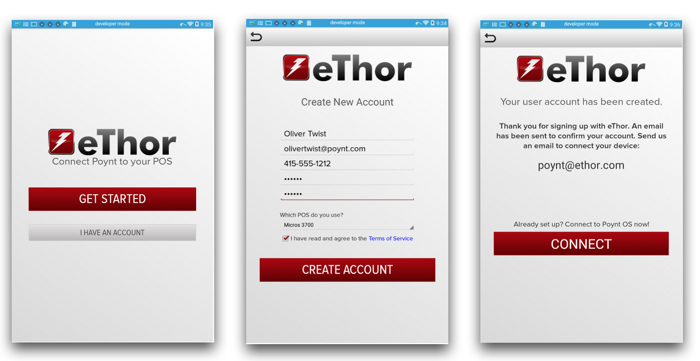 eThor POS Connector syncs your Poynt terminal with your existing POS system (Micros, Aloha, etc.) and enables your servers to instantly access (and close) orders on your POS. 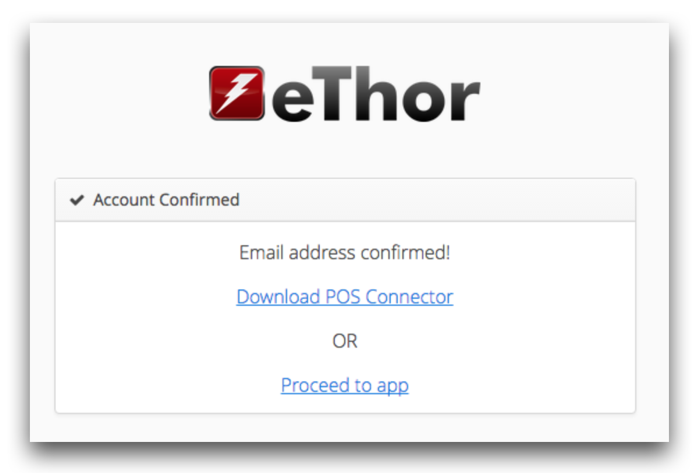 With any questions not addressed by this Quick Start Guide, please reach out to eThor POS Connector at 1-888-958-5685 or use the Contact Us button within the app on your terminal. After you have installed the POS Connector on your Windows-based POS, you will need to pair your Poynt device with the code sent in email. If you need additional assistance or have feedback, send an email to poynt@ethor.com.